Most of the bloggers predicted that the next update would be on end of July or probably on begging on August. However, yesterday the Google has release their new update and still you may have not got your new PR. But according to Google they has not finished the update yet. What are the most proven sites to get PR 10.....? Google has not completely finished the page ranking yet and therefore it is difficult for us to list the PR 10 ranked pages. However as a prediction I can tell you that the pages which were in page ranking of 9, 10 may in the similar position as earlier except few changes. However the rank of the Facebook, Google Home page were in the PR 9 state. This time these two also may change their position. Because they also tried to increase as it is a one of the most important indicator on their site. Have not you got any rank yet.........? According to Google, this may the update you can come up with good rank if you have been blacklisted from Google or has not ranked yet. So, I know most of you are willing to see your result. However If you do not have got such one yet, do not get upset or sad because they have not published their full update yet. Even 5minutes ago I could not get my page rank. This may take about another 3, 4 days to complete. Then we can come with list of newly ranked sites where we can get good backlinks and some of other helps. 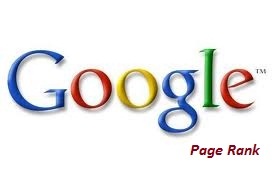 If you have not yet checked your Google page rank please visit here and get yours too.